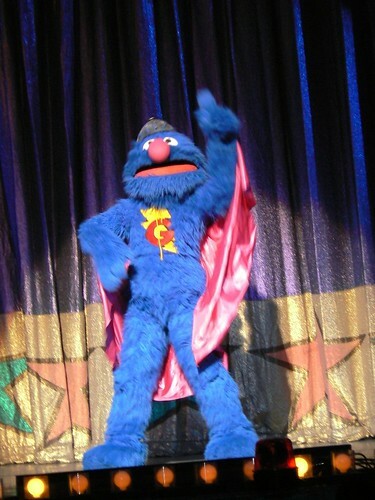 Super Grover to our rescue! Finally it is time to mention something a little more fun and not sickness related (imagine that). 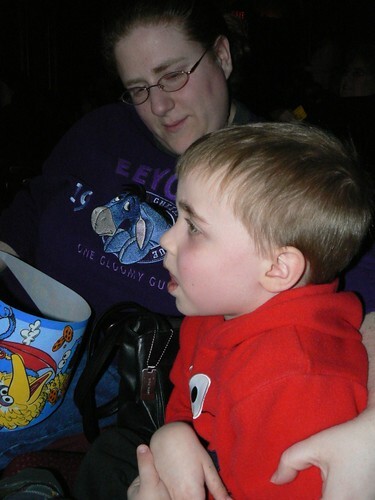 Last Thursday night we were lucky enough to be able to take NHL to see. . . .
We bought our tickets long ago for opening night and Nana and Papa were wonderful enough to volunteer to watch JSL so we could have a special night out with our big boy. With everything that went on the plans only changed slightly. Nana and Papa came to our house so JSL would not have to go out into the cold. 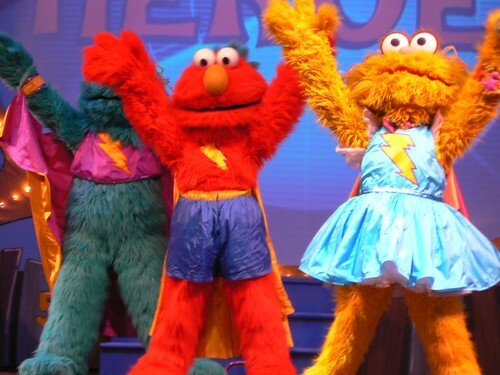 This year the show was called "Super Grover Ready for Action" and we were all excited to see it (JL’s favorite growing up was none other than the fuzzy blue monster himself). 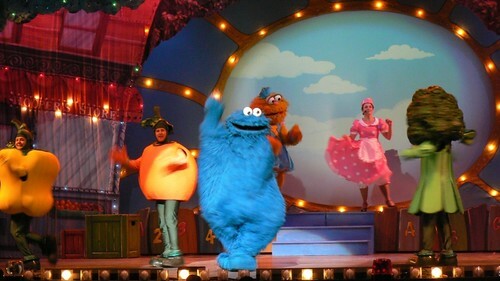 We are all big Grover fans in this house and were upset that he never showed in Sesame Street Live last year. This year we were psyched to see lots of Super Grover. All in all we had a wonderful time. It was great getting out of the house and doing something special with NHL. He had a really rough week and had not had a lot of Mommy and Daddy time, so this was excellent for him. Below are some photos from the show. 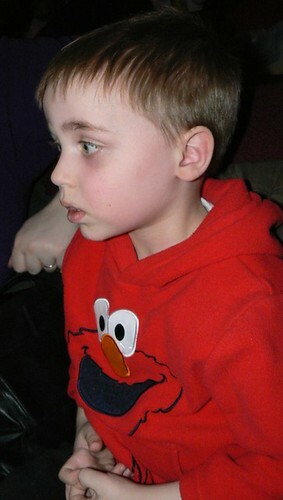 Can you tell a certain little boy was tired at the start thanks to a no nap stance? 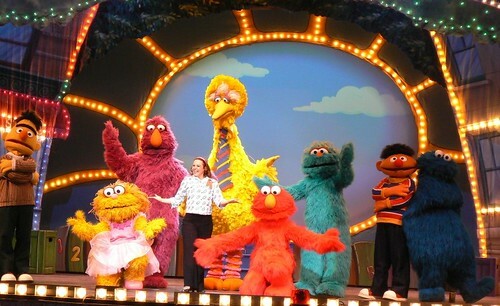 Even though the show was about Grover, the furry red monster, Elmo played a major role. Shocked aren’t you? The sad part, there were NO Grover items being sold – BOO HISS! After a while NHL started to get into the show, no really he did. Seriously you will see. 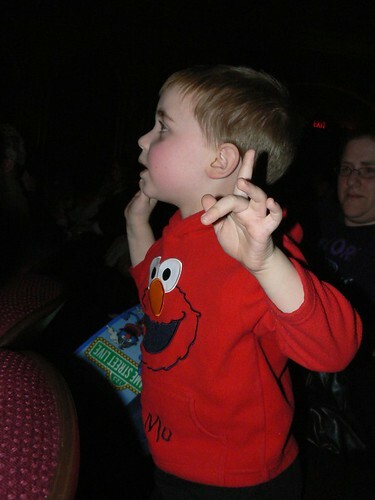 . . he woke warmed up to the show. Captain Fuzzy was there to save the day! 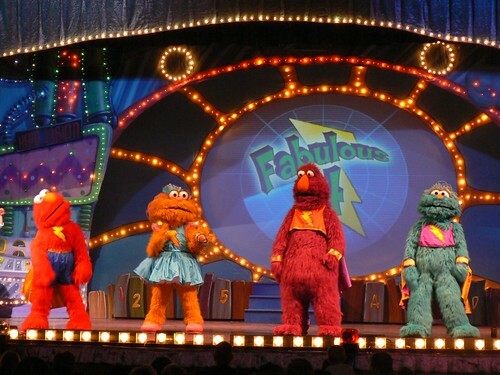 The Fabulous Five took over to help out Sesame Street when Grover lost his "super" and could not do anything. JL took the photos this year and we finally figured out that Grover must have some form of ADHD. He was next to impossible to get a photo of. Thanks to him constantly running, falling, flying or what not he was almost always a blur. This is one of the best JL was able to get. 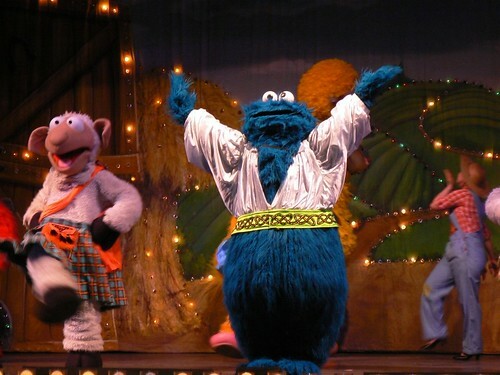 Always faithful Cookie Monster was there to River Dance for the crowd with his sheep. 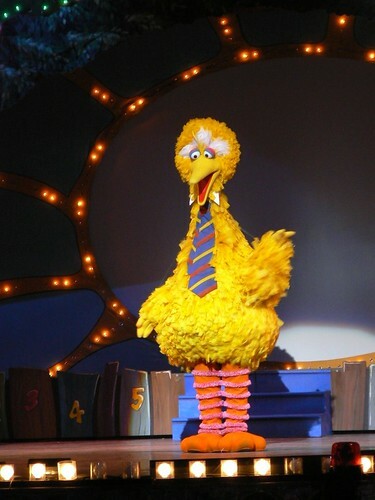 Big Bird needed a nap . . . something that NHL really needs in the afternoon, but refuses. 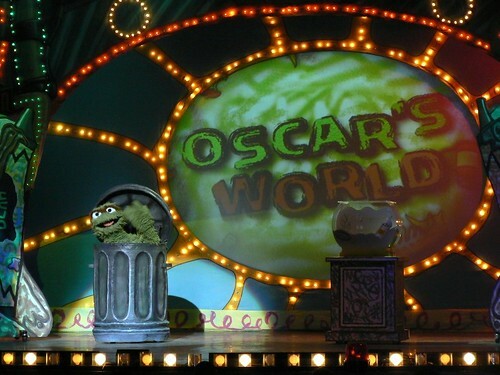 NHL still sings the "Oscar’s World" song almost a week later. 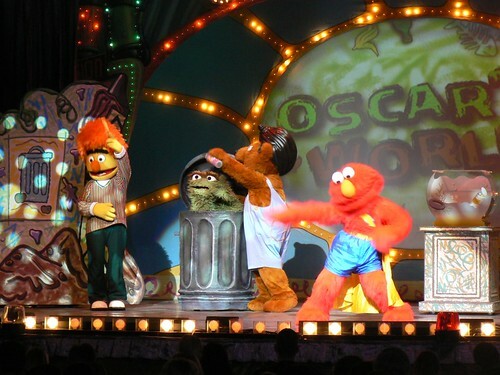 If you ever go to Oscar’s World be sure to say hello to Gene . . . just be sure not to confuse him with hygiene (that joke went right over the kids head that night). Please check out Burt and Baby Bear’s fun hair for the evening! Cookie Monster taught kids to eat their colors. I am sure this went over lots of heads. I can just see NHL asking for his purple cookie, red lolli pop and other colorful treats! 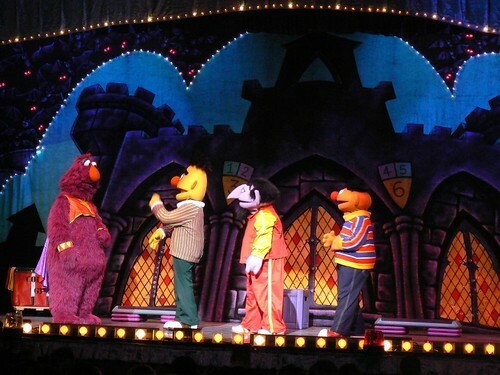 The Count finally got NHL up on his feet to dance. He was too cute wiggling around. He was SO tired, but man did he try. NHL liked it when Triangle Boy saved the day at the gym. 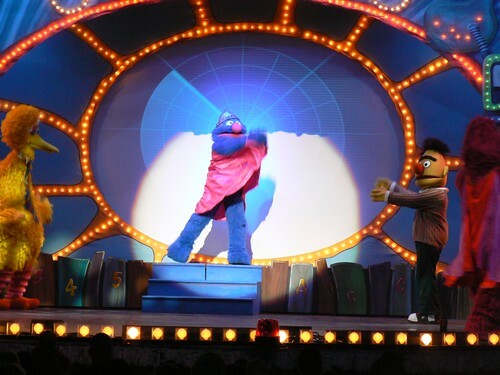 One last shot of Super Grover before I sign out. 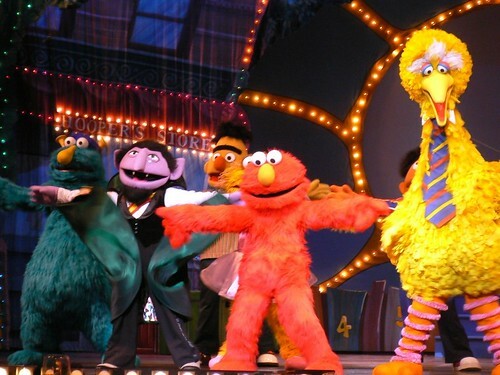 Next year IF we go to Sesame Street Live again we hope to take JSL since he will be about a year and a half and will love the singing and dancing. For now we had a wonderful time with our big boy who seriously needed some fun in his life. 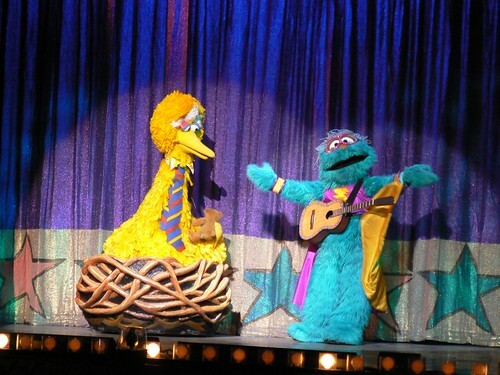 BTW – I started my blog last year at around the time we saw Sesame Street Live. I will post some funny photos from the show for Worldless Wednesday tomorrow . . . I think. What a great show! We’ve seen several already and I can’t wait for Baby Bug to go. Looks like you all had a great time! Oh wow…that looks like SO much fun!! Great pictures, too. Do you mind me asking what kind of camera you use? I’m itching for a new digital! Kailani: Thanks! They really do put on an amazing show, well worth the money. Not sure if NHL will want to go next year, but we may be able to take the little guy who will be inching up on two by then. Mommy Cracked: Thanks, hubby took almost 200 photos during the show. He just kept shooting away hoping for good ones since they are difficult with all of the moving/dancing/flying and things. Hubby’s camera is a Panasonic FZ7. He has a bunch of attachments that he has bought, but did not use any for this show (he did for the Lunar Eclipse shots). My photos are using my little Canon Power Shot A570. We are both very happy with each of our cameras for many reasons. Good luck in camera hunting.